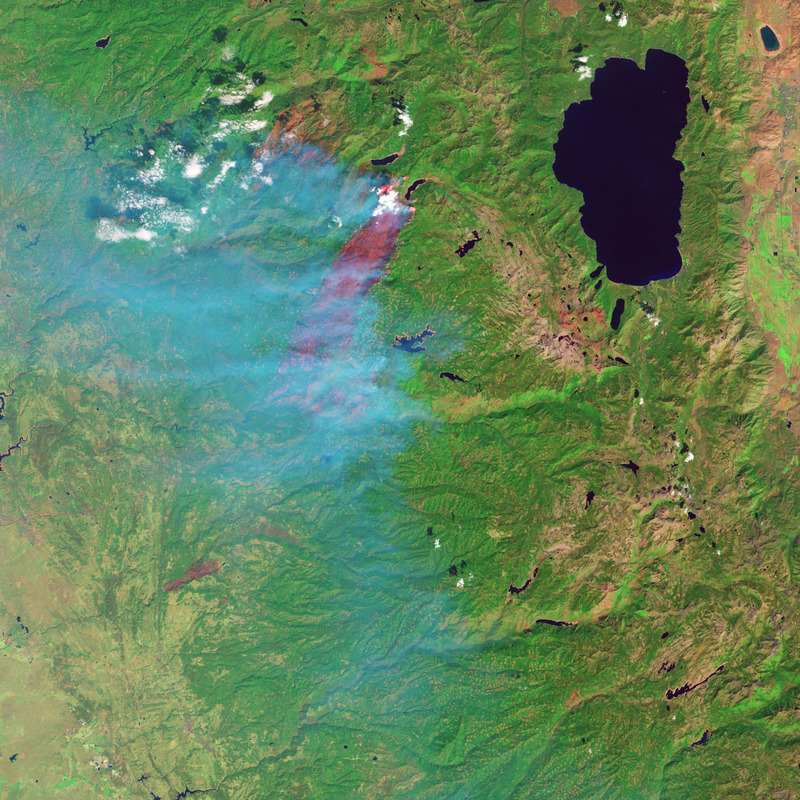 On September 19, 2014, the Operational Land Imager (OLI) on Landsat 8 captured these images of the King fire in Eldorado National Forest. 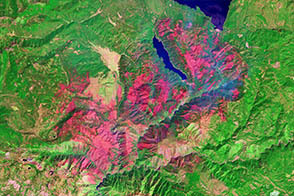 In the false-color (top) image, burned forest appears red; unaffected forests are green; cleared forest is beige; and smoke is blue. 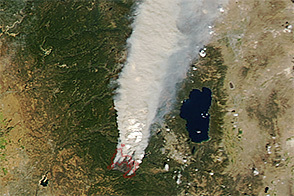 The natural-color (bottom) image shows several smoke plumes rising from the leading edge of the fire and blowing west. 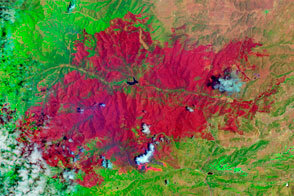 As of September 23, the blaze had charred 36,320 hectares (89,571 acres). 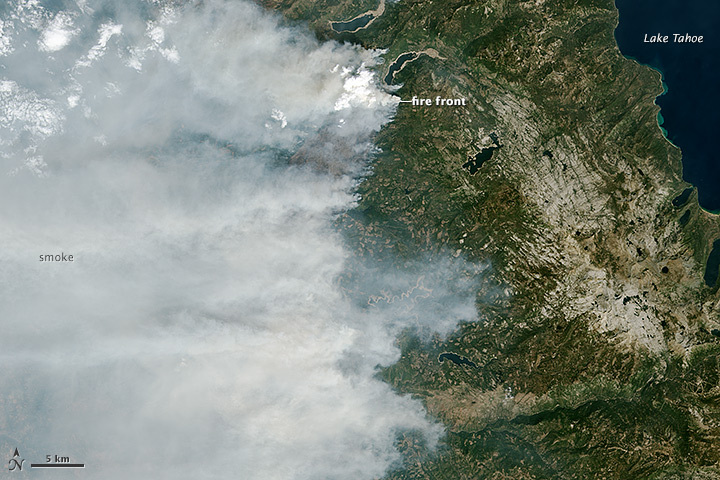 InciWeb (2014, September 23) King Fire. Accessed September 23, 2014. NASA Earth Observatory (2014, September 17) King Fire, California. Accessed September 23, 2014. 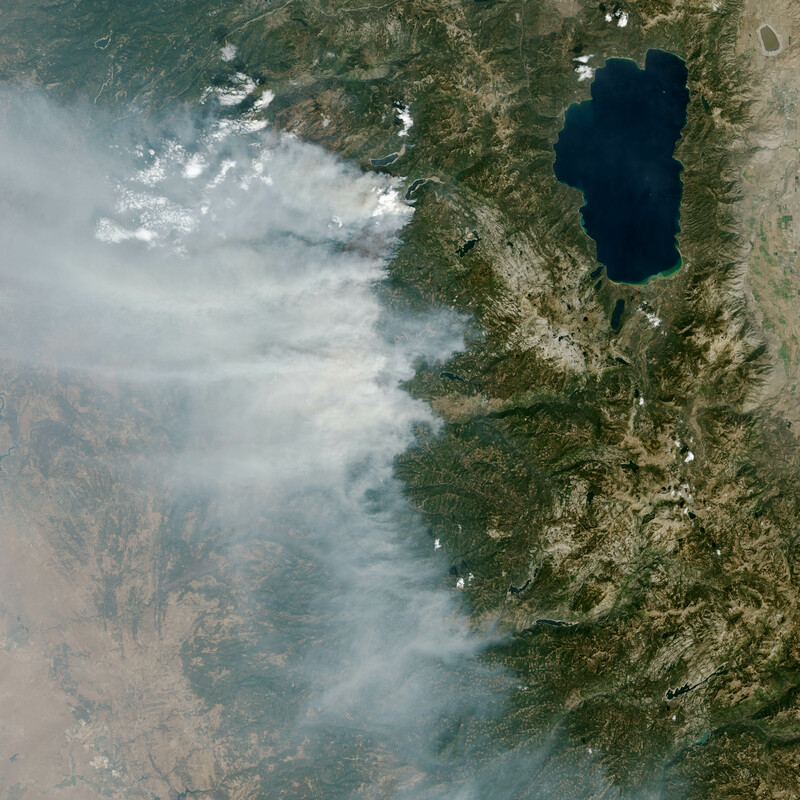 Washington Post (2014, September 23) California’s giant King fire continues to burn. Here’s how it looks from above. 23, 2014. 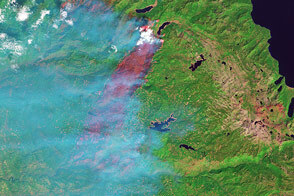 The fast-moving fire burned in Eldorado National Forest in September 2014.